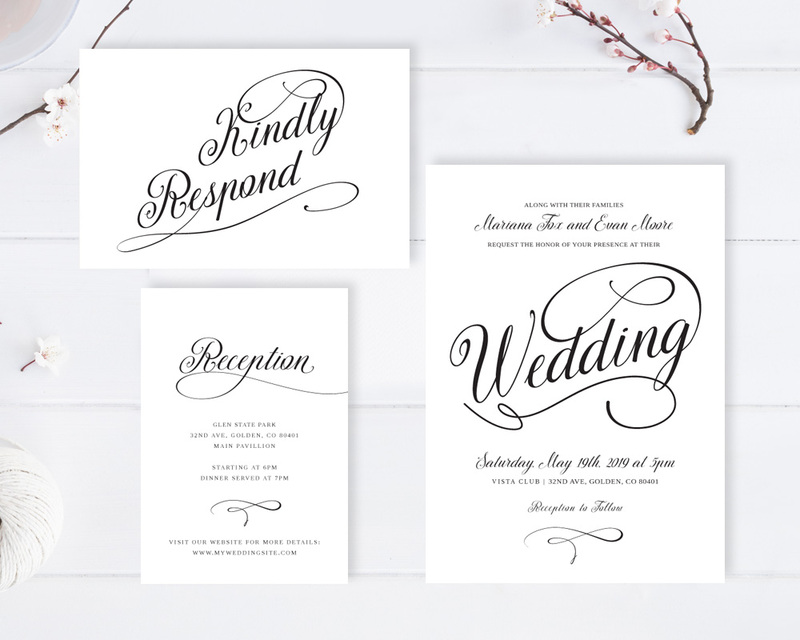 Your dream wedding day can’t happen with the ones you love, so invite them all with our Classic Wedding Invitations! 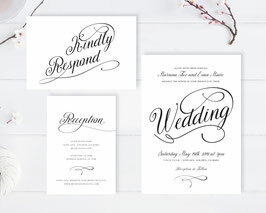 Our black and white invitations will announce the details of your wedding in a elegant manner. Printed on premium paper, this set of wedding invitations including invites, RSVP cards and extra info cards.